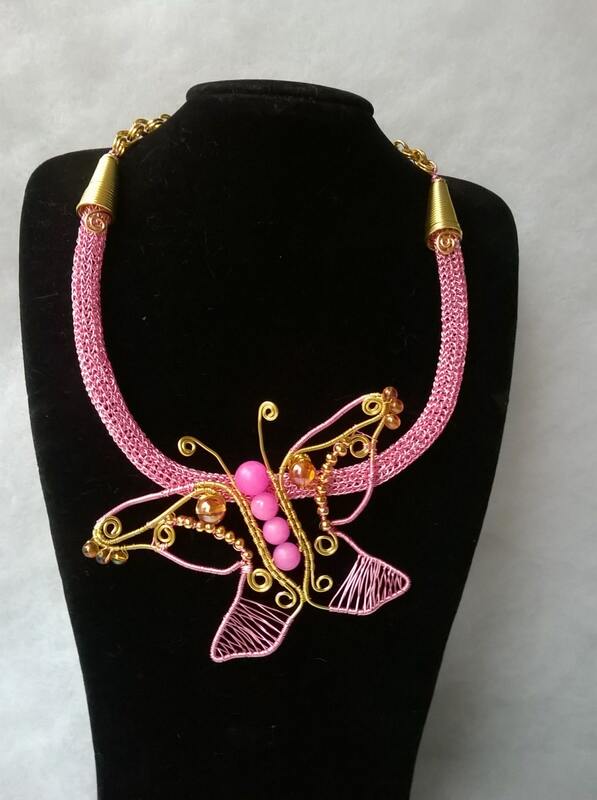 Beautiful, handcrafted, wirework butterfly necklace. 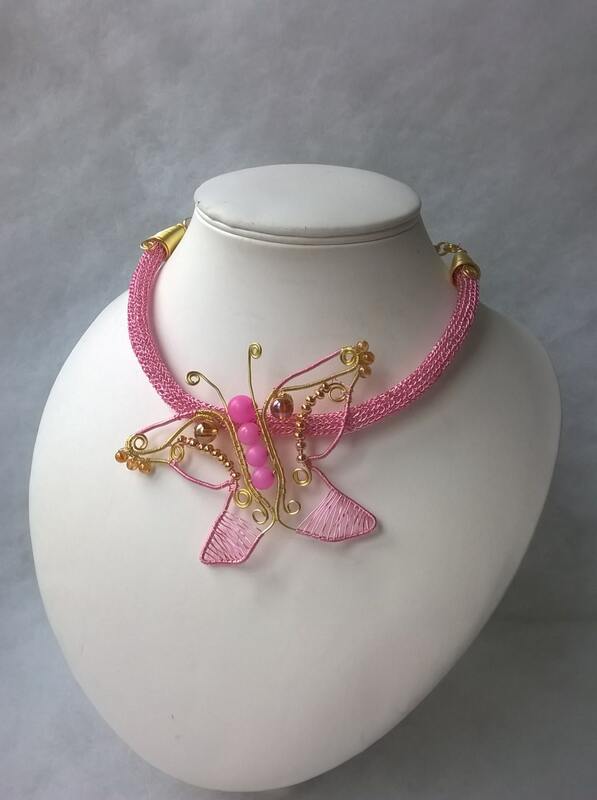 The genuine gemstones are pink quartzite and rainbow quartz. 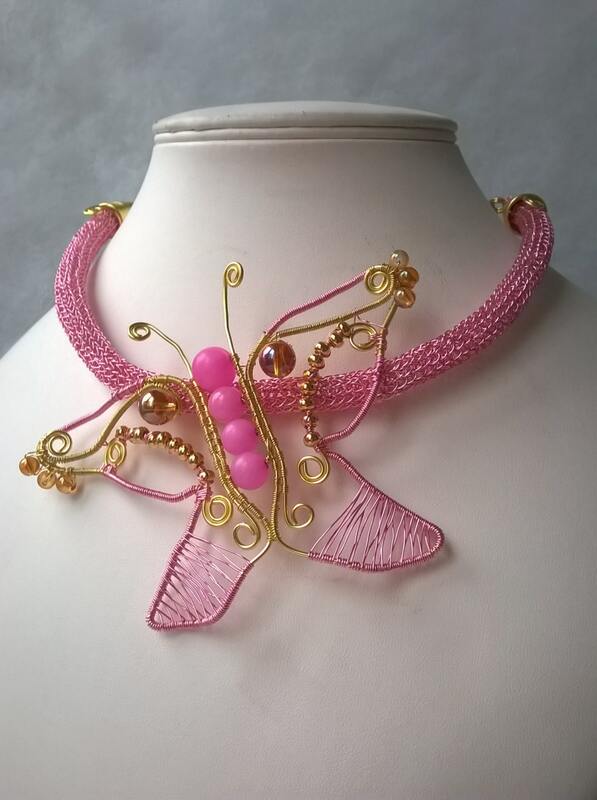 Pink and gold wire used. Approx. 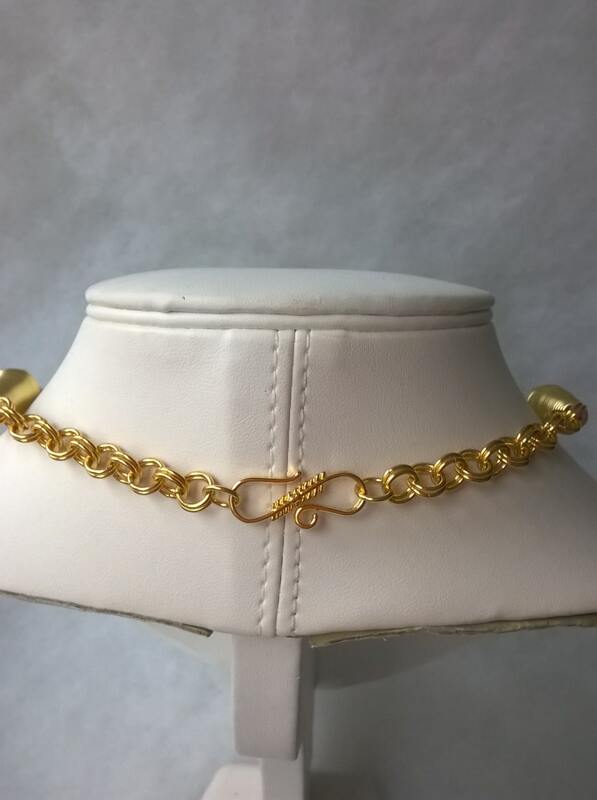 18 inches ( 46 cm ) in length, around the neckline. 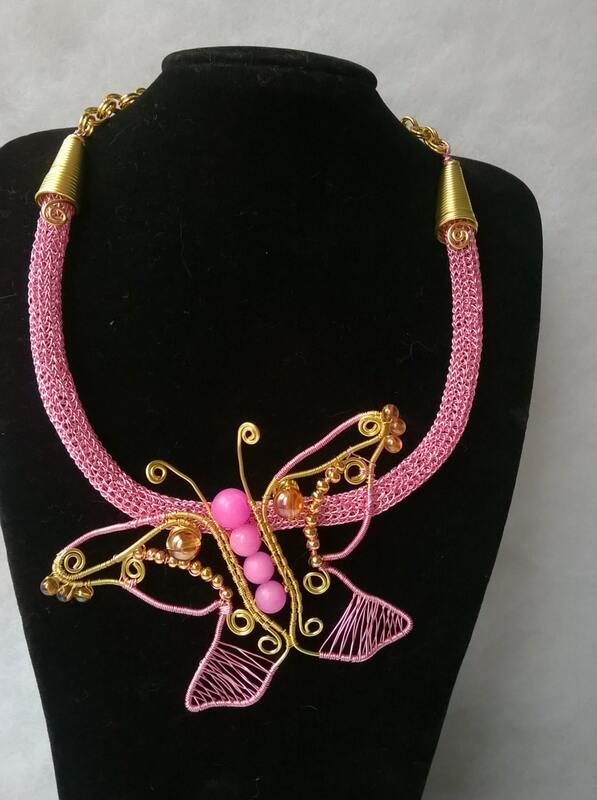 This glorious statement piece is just what the party ordered!! !